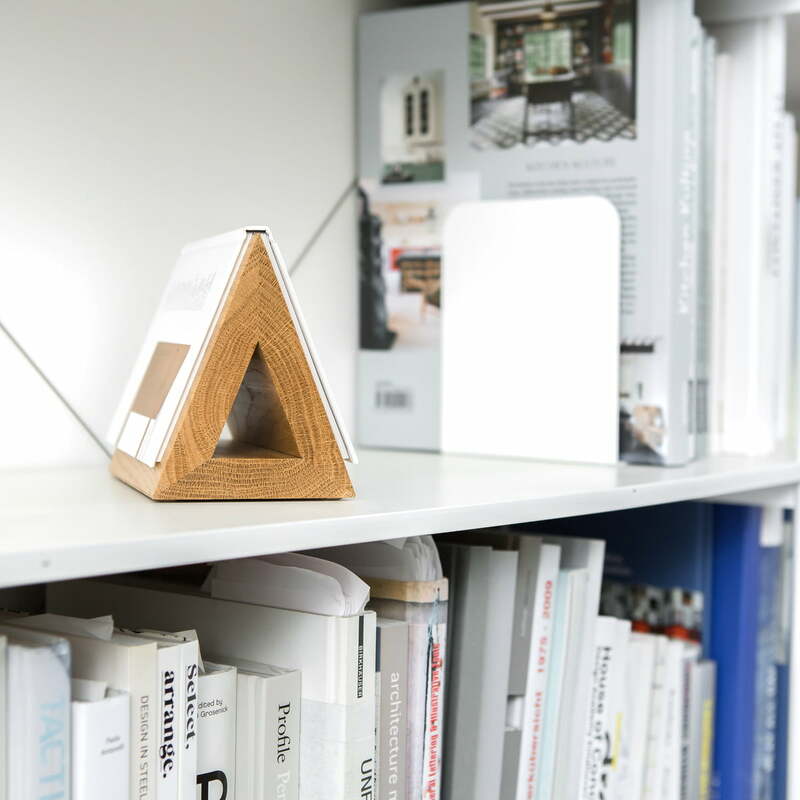 The Book Hook is a reinvention of the classic bookmark. 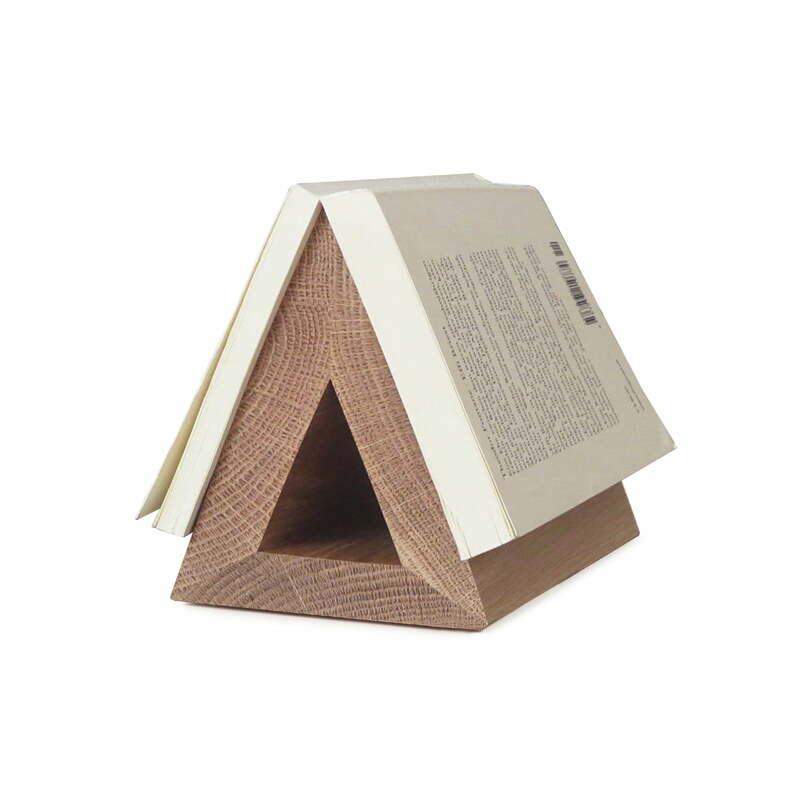 Its minimalistic and practical triangular shape follows the shape of an open book, marking a page while avoiding any damage to the book. The wooden bookmark is an exclusive part of the Connox Collection and is available in three different woods. Bookworms will love the Book Hook: Too often a page is lost because the classic bookmark falls out of the book - the Book Hook, however, ensures you will always pick up exactly where you left off. 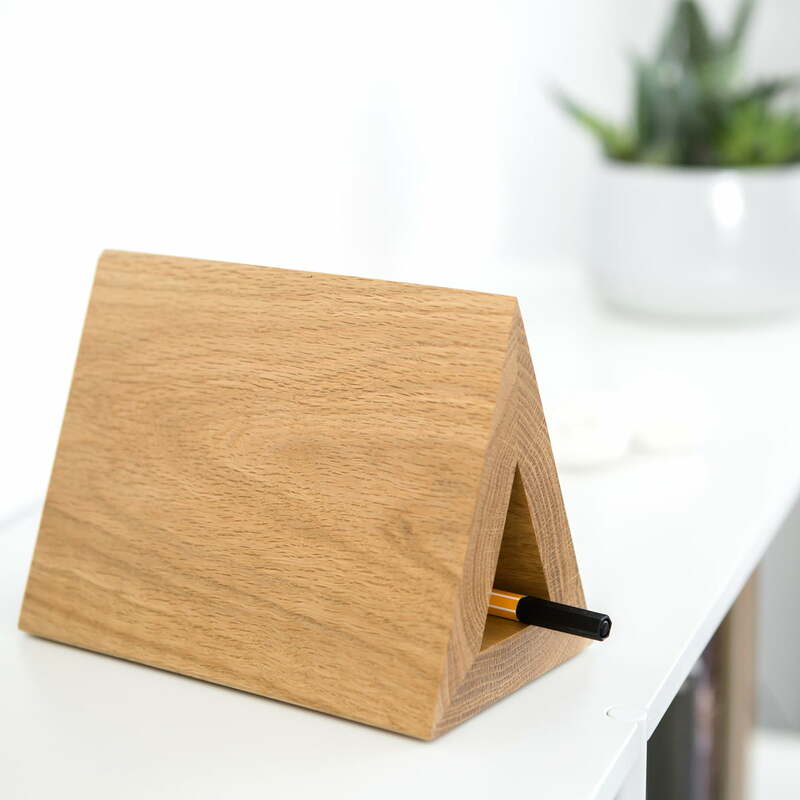 The centre of the Book Hook is hollow, making it the ideal storage space for pens or reading glasses. 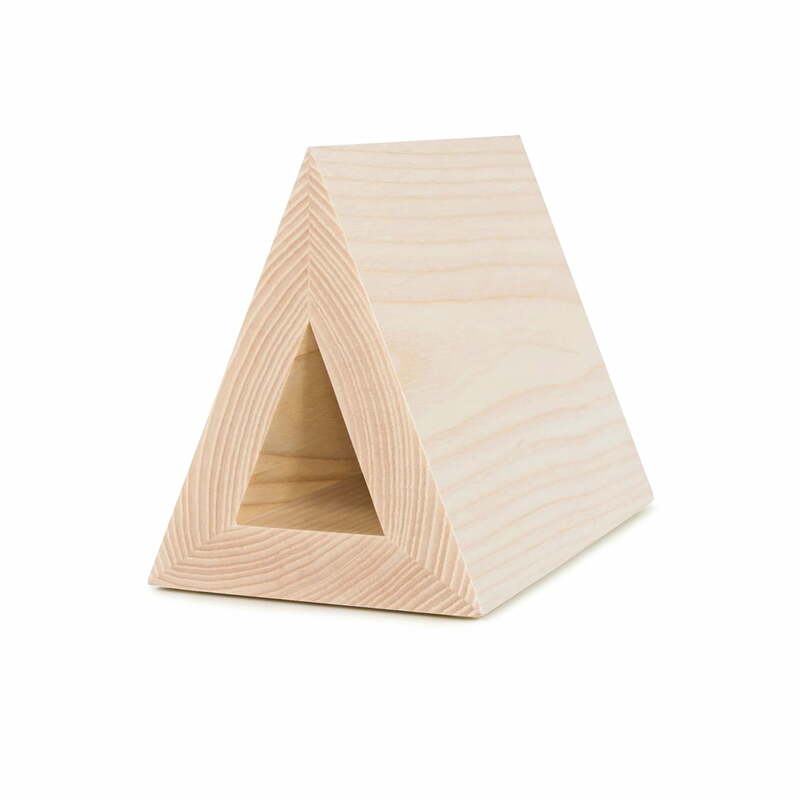 Ideal for the bedside table, living room or office, the four rubber feet protect surfaces from scratches and prevent the small sculpture from slipping on smooth surfaces. A book is not included in the delivery. Isolated product image of the wooden bookmark Book Hook made of high-quality ash wood in a minimalist Scandinavian design with a cutout in the middle for pens, reading glasses and other small items. 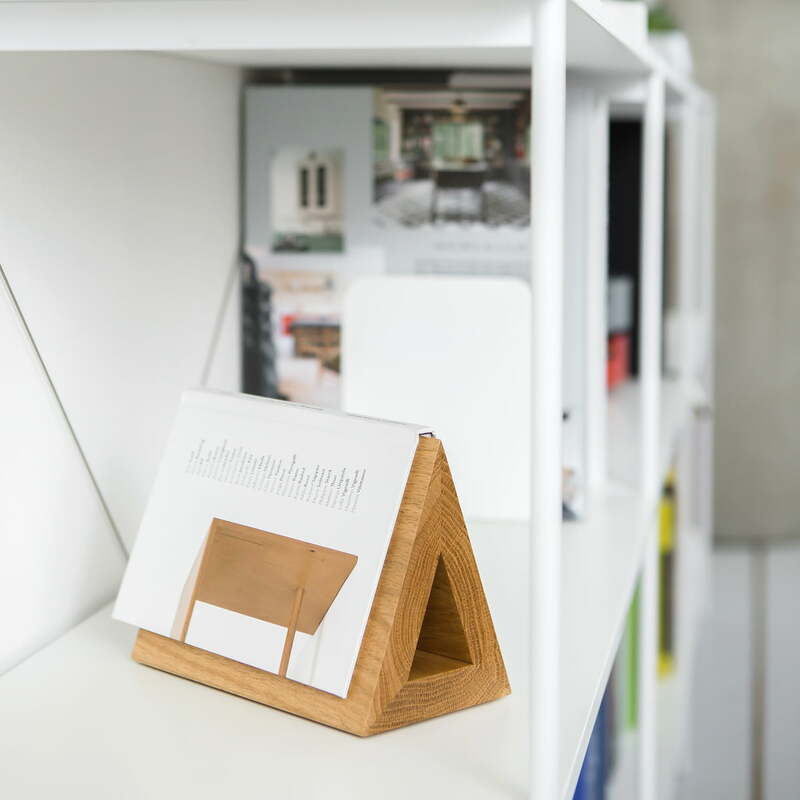 The Book Hook bookmark made of oak wood is a beautiful and practical surface over which books can be draped to display them on the shelf or sideboard. Lifestyle product image of the Book Hook: Inside of the hollow centre of oak Book Hook, pens can be conveniently stowed away or hidden. Ideal for writing notes down in the book. 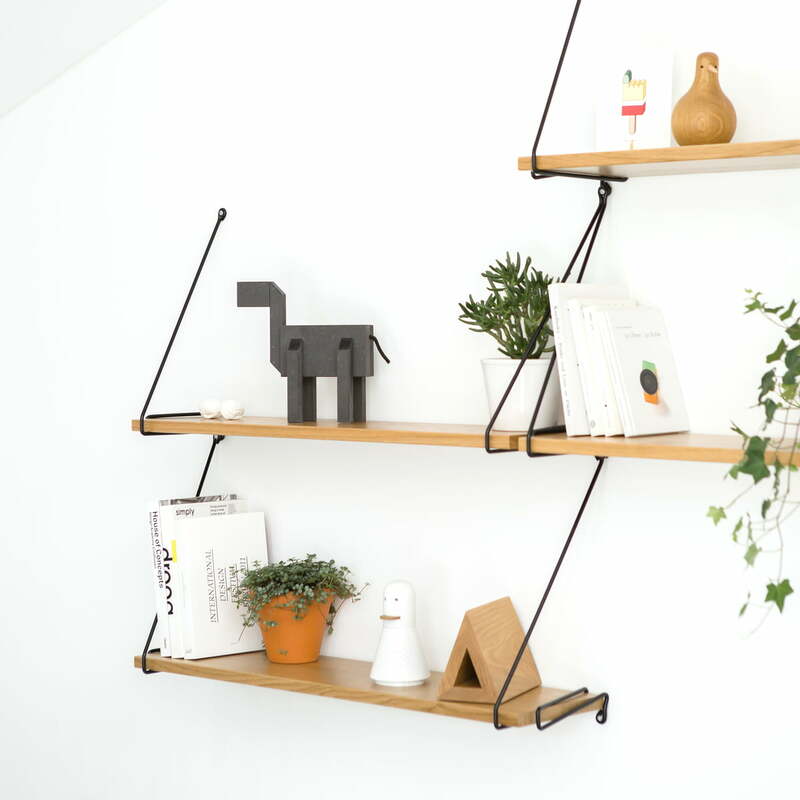 Decorations such as Kubi, books, flowers and other souvenirs and accessories can be displayed on the Wire shelving system made of oak wood with metal brackets. Lifestyle product image of the Book Hook and Pin Board from the Connox collection by Lenz. 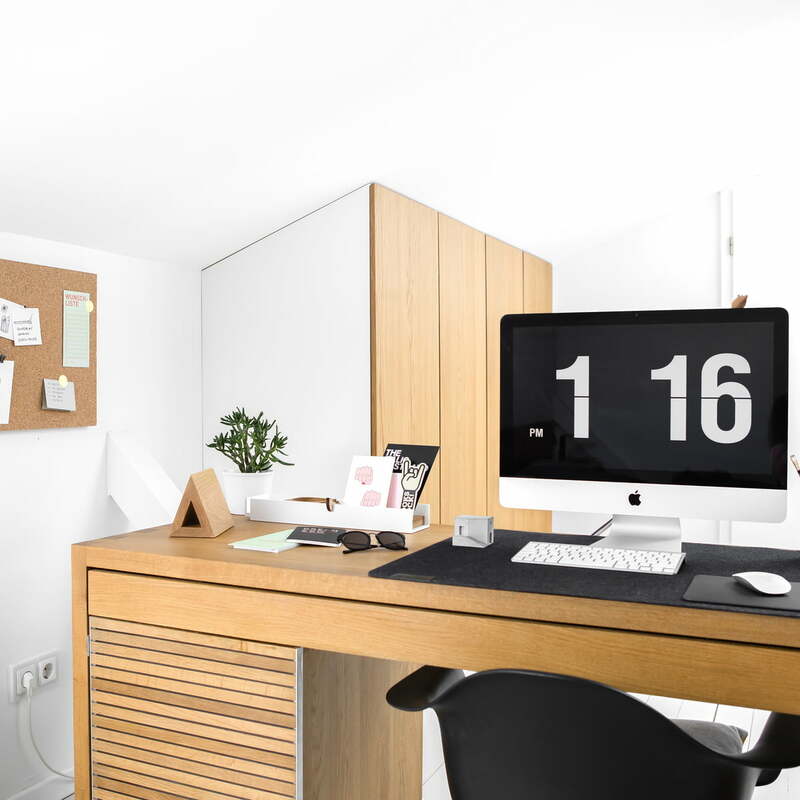 The Book Hook and Pin Board are easily introduced into classic and timeless interiors thanks to their modern yet minimalistic design.